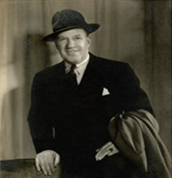 John W. McDougall opens the doors of his new manufacturers rep agency and names it John W. McDougall Company. With the wartime efforts, McDougall employs over 200 men at Ft. Campbell, Ft. Crowder, Ft. Robertson, and Ft. Forrest. 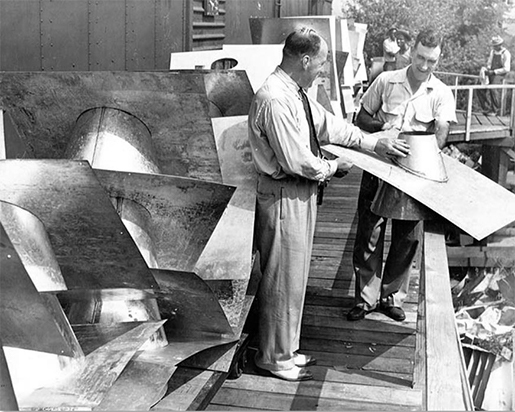 John W. McDougall Company produces 1,000 tons of ductwork for the Atomic Energy Commission on the Manhatten Project and the development of the atomic bomb. 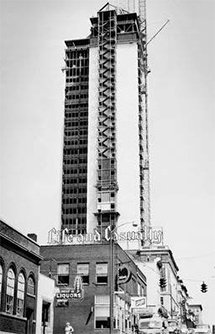 The Life and Casualty tower is built in downtown Nashville, TN with a multitude of products represented by John W. McDougall Co. At the time, the L&C tower was the tallest building in the south. 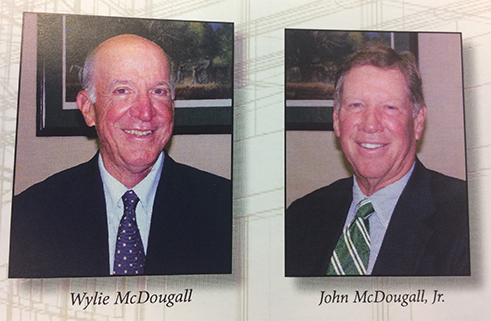 Brothers Wylie and John McDougall Jr. begin their 45 year-long careers at John W. McDougall Company. 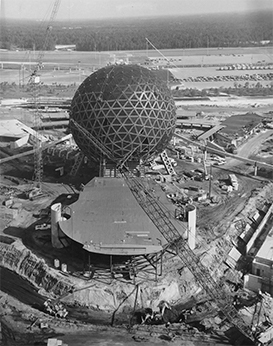 Disney’s Epcot Park is completed with it’s marque attraction, The Epcot Ball, fabricated by John W. McDougall Co. The company also worked on the Monorail and the Contemporary Hotel with aluminum composite material. 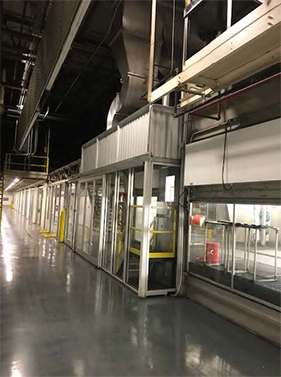 The industrial division of McDougall executes its first paint finishing project in the automotive market at the General Motors plant in Wilmington, Delaware. 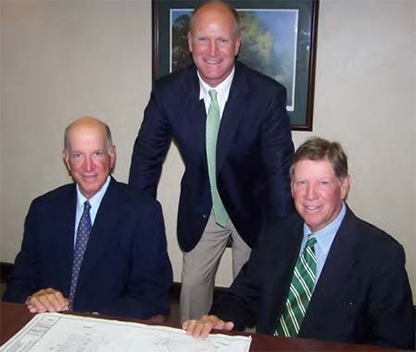 John W. McDougall Co. has continued to be a major subcontractor in this market through the present day. The company installs the 2nd largest skylight in the world at that time, on Opryland Hotel’s Delta expansion. The skylight is 4.2 acres of glass panels. McDougall completes its 400th Circuit City store in their corporate identity program. 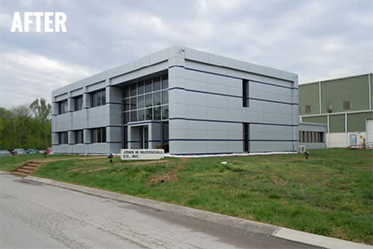 McDougall Company partners with Haden International at the Jeep assembly plant in Toledo, OH. At the peak of this project, manpower exceeded 100 men per day. Alec McDougall takes over the day to day operations of the company. 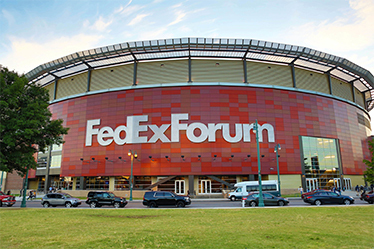 McDougall Company completes the FedEx Forum in Memphis, TN. 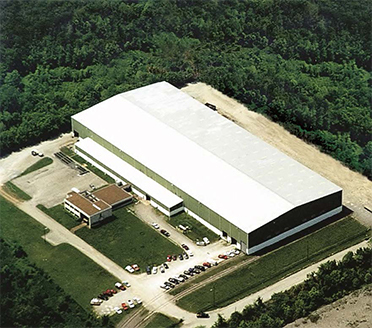 John W. McDougall Company moves into a new 100,000 square foot manufacturing facility. 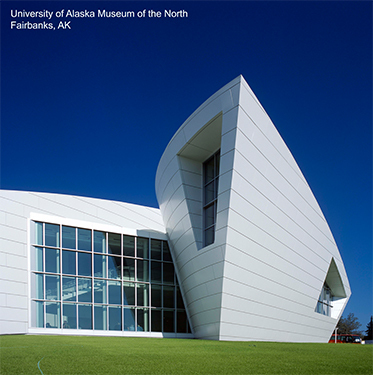 John W. McDougall Company executes the contract for the University of Alaska at Fairbanks Museum. The company fabricated and installed this project. 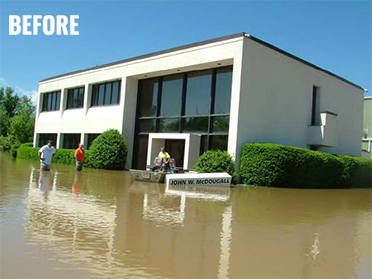 John W. McDougall’s manufacturing facility is flooded in Nashville’s 100 year flood. The plant is renovated and up and running in six weeks. 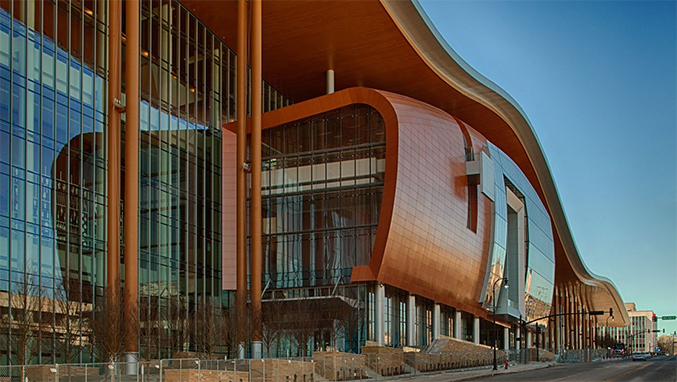 John W. McDougall Company completes its scope on the Music City Convention Center with over 200,000 square feet of aluminum composite material (ACM) panels. 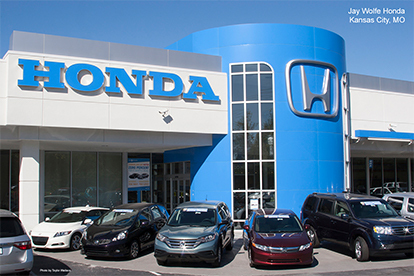 John W. McDougall Company completes its 300th Honda car dealership as it continues to build its corporate identity portfolio. The company’s network now encompasses an additional 6 affiliated companies and over 400 employees. 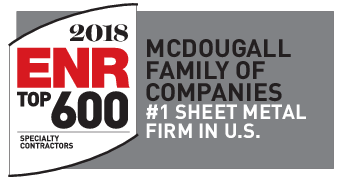 The McDougall Family of Companies is ranked by Engineering News and Record as the #1 sheet metal contractor in the country in revenue.